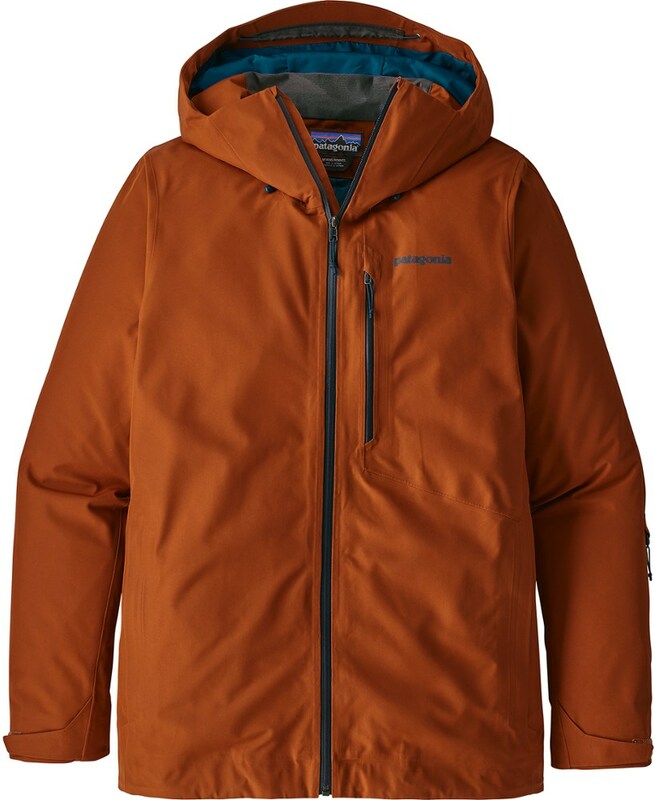 Built for mountain professionals with an unwavering focus on performance and durability, our 2-Layer Patrol Jacket features a tough yet supple, 2-layer fabric construction, a fully-dialed low-bulk design and unsurpassed windproof and waterproof/breathable performance for riding anywhere, anytime. 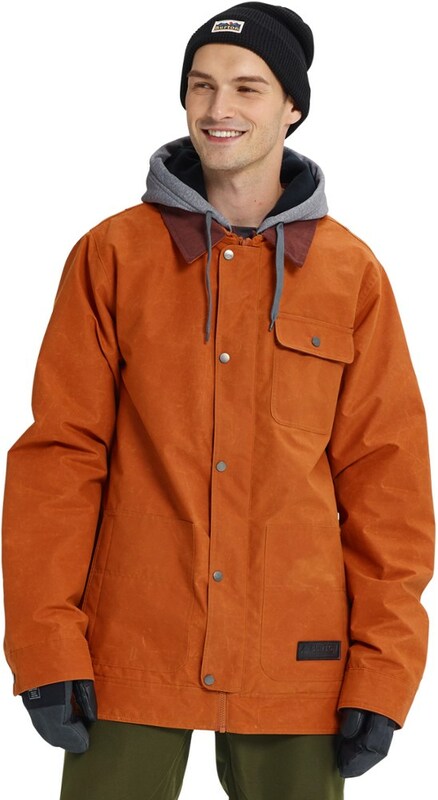 The comfortable, work-oriented design starts with a versatile, 2-layer 100% nylon GORE-TEX fabric that provides absolute waterproof/breathable and windproof performance in all conditions. We treat the fabric with a DWR (durable water repellent) finish to stop moisture and wet snow and increase abrasion resistance. A moisture-managing mesh interior lining in the upper body increases warmth and comfort without extra bulk. Pit zips allow a cooling airflow for steamy days, but when the weather moves in, a fully adjustable, low-profile powder skirt with a single snap seals in your heat (includes a webbing loop that attaches to any Patagonia(R) Snow pants). 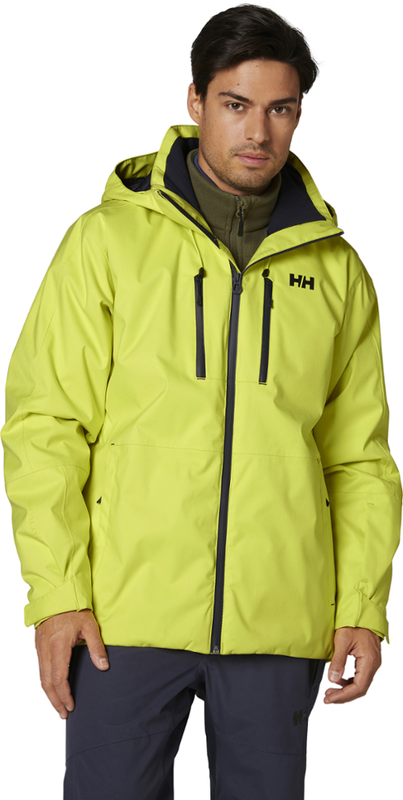 The helmet-compatible, 2-way-adjustable hood has a soft, laminated visor to preserve visibility along with embedded cord-locks in the hood and hem to eliminate loose ends and provide easy adjustability. 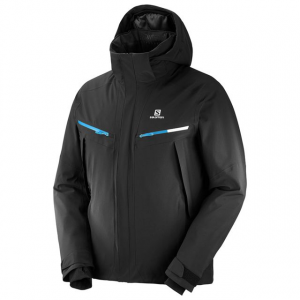 Coated, watertight zips with Slim Zip installation reduce bulk and weight; the Vislon(R) center front zipper is super durable and easy to operate, even with gloved fingers. 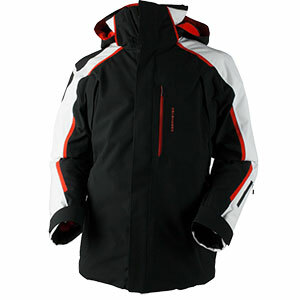 Pockets include: two handwarmers; two chest that expand via bellows construction; one pass pocket on the left forearm; two internal drop-ins for goggles and gloves; and one internal stash (with a zipper for security).